Touted by its maker as "the language of technical computing," The MathWorks' MATLAB is a veritable Swiss Army knife for engineers, scientists, and perhaps anyone involved in technical endeavors. MATLAB serves a myriad of applications in programming, data analysis, application development, modeling and simulation, and... wait for it... instrument control! S-parameters are a great tool for understanding exactly what happens to a signal as it traverses an interconnect such as a transmission line. How much of it propagates through, and how much reflects off of impedance mismatches? From plotting return loss against insertion loss, we've weighed how much return loss may be tolerable before it significantly impacts insertion loss. Now we'll turn our attention to some common patterns exhibited by S11 and S21 and what they mean to the performance of an interconnect. Having previously covered some of the fundamentals of S-parameters, it's now time to dig a little deeper into what they can show us about an interconnect; say, for example, a two-port microstrip line on a PC board. Unlike the one-port DUT in our earlier post, this configuration gives us the opportunity to look at not only S11 (return loss or reflected signal), but also S21 (insertion loss or transmitted signal). S-parameters are a popular means of characterizing an interconnect. 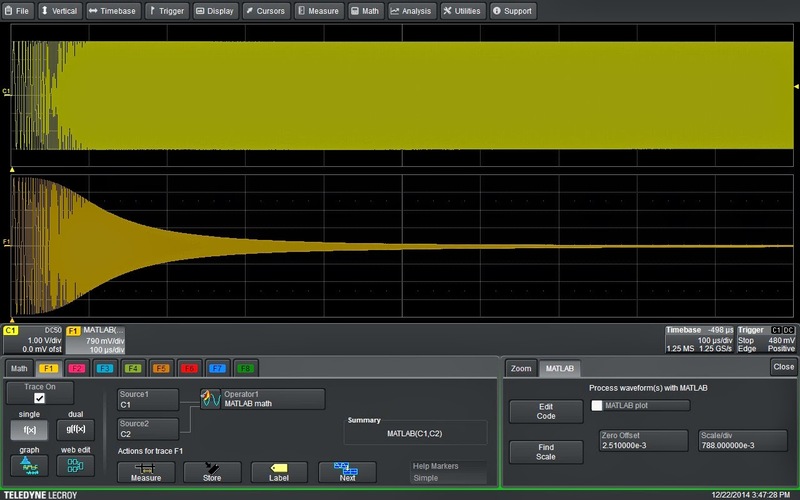 By feeding the interconnect with a precision reference signal and measuring how much of that signal propagates through the connector and how much is reflected, we learn everything we need to know about its performance. This will be the first in a series of posts about the insights we can glean from S-parameters with practical examples of common measurement scenarios. If you're designing a computer peripheral these days, chances are that you'll use the Peripheral Component Interconnect Express (PCIe) protocol for communication between the device and the host system. With the emergence of PCIe, a bunch of older bus standards were kicked to the curb. PCIe itself became the basis for more specialized standards, most notably ExpressCard for laptop expansion cards and SATA Express for storage interfaces. Testing of dual data-rate memory (DDR) devices and/or modules calls for careful application of some best practices for probing. There will also be cases where the use of chip interposers is called for. Heeding the advice provided in earlier Test Happens posts on this topic will go a long way toward successful probing and testing. If you're a PCB layout designer, you've probably heard one or more test engineers complain: "Why can't you lay out the board so that it can be tested?" All too often, components that need to be accessible to oscilloscope probes are physically inaccessible, whether it's because of close proximity of adjacent components or ball grid array (BGA) mounting of the DUT. It's nearly always a necessary evil, though, because of PCB cost and/or mechanical constraints. No matter how much we might think we know about signal integrity, there's always more to learn. The laws of physics never change but we might come across new scenarios in which to apply them. Circuits with higher levels of functionality are constantly being squeezed into smaller, more portable spaces; the closer together we pack active components and transmission lines, the more acute their sensitivity is to electromagnetic energy. Everything's either a transmitter or a receiver in some sense and everything has effects on other components, intended or otherwise. Back in the day, one of the biggest deficiencies of early digital oscilloscopes was their lack of memory depth. A memory of 500 or 1000 points was about as good as it got, and this didn't provide much in the way of detailed waveform capture. Today's instruments are very different animals; for example, Teledyne LeCroy's recently introduced WaveSurfer 3000 oscilloscopes offer up to 10 Mpoints of memory per channel. Oscilloscopes are often an engineer's best friend, but that can change depending on how easy or difficult a given instrument is to use. 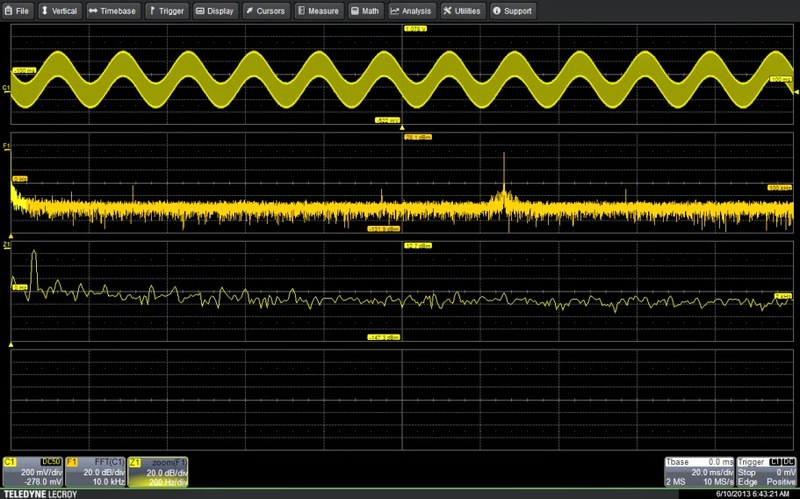 Sure, the oscilloscope's capabilities and technical specs are critical, but if the machine is difficult or non-intuitive to interact with, the user ends up wasting time figuring out what should be simple. How Many Channels is Enough? can be designed and optimized specifically for that load. 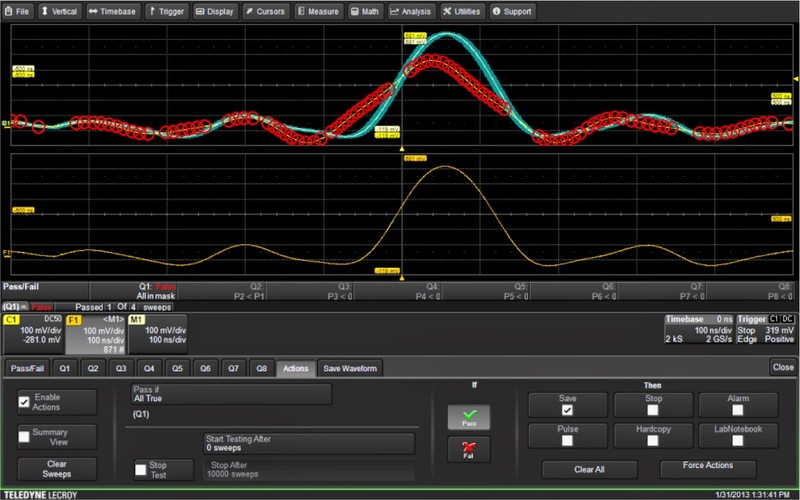 The bulk of oscilloscope applications are well served by instruments with four analog input channels. Most basic debugging and design-related work involves probing of only one signal at a given time, and occasionally more than one, especially when differential signals are concerned. Thus, many users may never see a need for an oscilloscope with more than four channels. Having said that, there are some applications that by their very nature surpass four channels. Moreover, some of these applications concern circuits and devices that are produced in extremely high volumes. A case in point is switch-mode power supplies, such as those typically found in notebook PCs, tablets, or embedded systems. Here's another in our continuing series of tutorial videos. 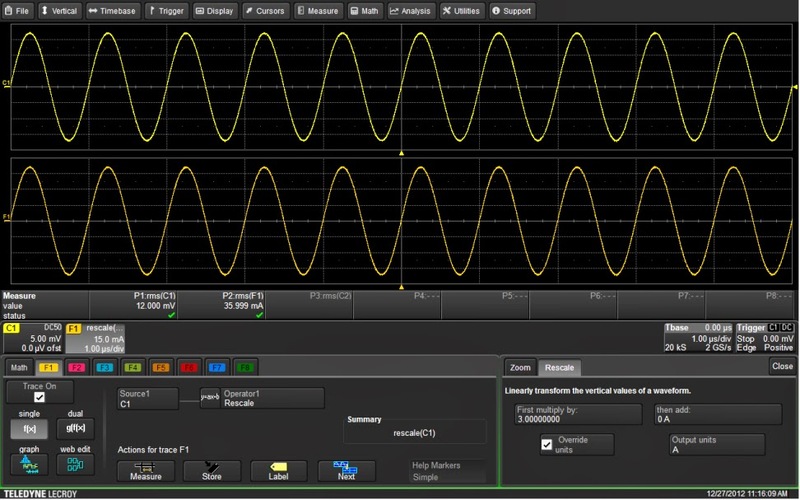 This time, we'll review the use of the vertical controls on a Teledyne LeCroy HDO oscilloscope. These controls facilitate positioning and scaling of waveforms vertically on the oscilloscope's display. Note that although we're demonstrating these controls on an HDO, you'd be rather hard pressed to find an oscilloscope from any manufacturer without a volts/div and vertical offset control. 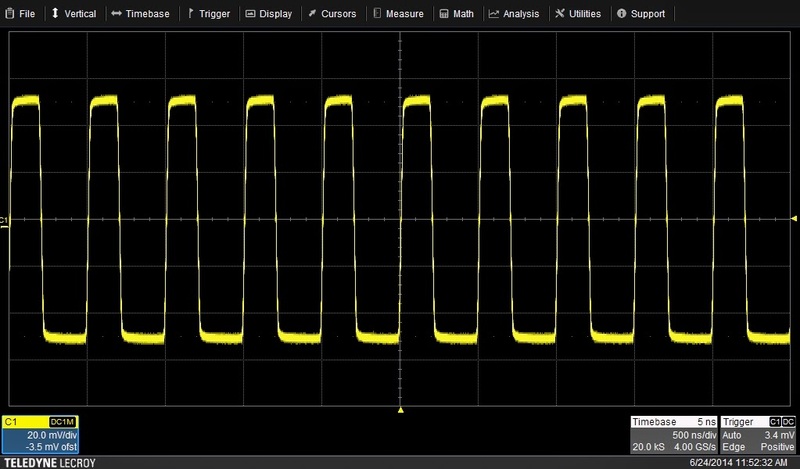 Thus, this video is applicable to whatever oscilloscope you have on your bench. There are quite a few tutorial videos for a broad range of Teledyne LeCroy products on our YouTube channel. Head on over whenever you need a refresher! If there's a topic concerning probes that causes confusion, questions, and misunderstandings, it's loading. It would be a much simpler world if attaching a probe to a circuit under test had no effect on either the signal being measured or the device the probe is connected to. Unfortunately, the world isn't quite so simple. As oscilloscope users, we know that the probe is a critical element in getting signals from the device under test into the instrument. The ideal probe would have perfectly flat magnitude response and perfectly linear phase response across its entire frequency range. 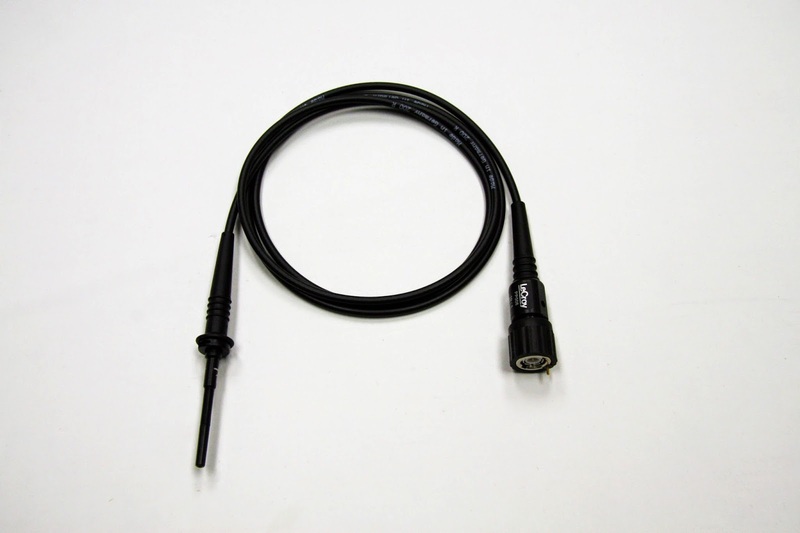 Unfortunately, that probe, though striven for by all oscilloscope manufacturers, does not exist. Why Should You Measure Jitter? As mentioned in an earlier post on some basics of jitter, the bane of serial-link design is a signal that doesn't arrive at its destination when it should, whether early or late. The goal of serial-link design and implementation is to transmit data with as few bit errors as possible. Thus, analyzing jitter is a key element of achieving first-pass design success.